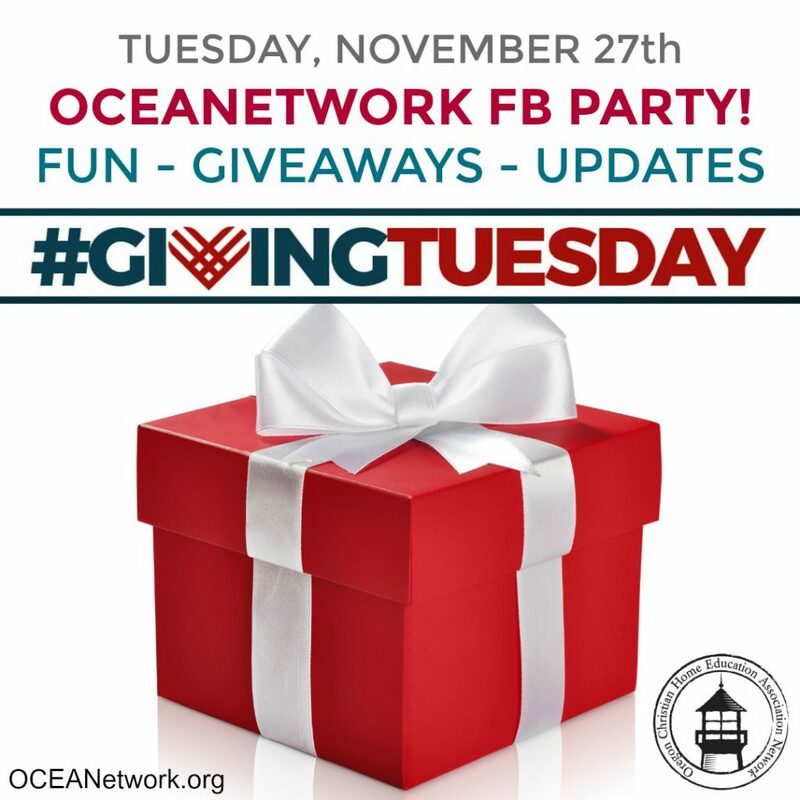 Support OCEANetwork on Giving Tuesday! Did you know there is also a day to give back? After Thanksgiving, Black Friday, and Cyber Monday comes #GivingTuesday, a day that celebrates the selflessness inherent in the season, and that has inspired giving around the world–and enabled people like YOU to make a difference. Do you cherish your Oregon homeschool freedoms? Here’s a chance to make a difference on #GivingTuesday, November 27! This year, you have a chance to participate with OCEANetwork! Join us on Facebook throughout the day–we have a lot of fun things planned: live video, fun interactions, giveaways and more! Be sure to follow us if you haven’t already! Please help us out by sharing our Facebook posts and e-mails and donating whatever you can. Together, we can support homeschool families as well as protect and expand the freedoms of homeschoolers in Oregon! Can’t join us on FB? We’ll send out an email to our subscribers on Giving Tuesday with link to the donation form and a schedule of our double match challenge times! One of the most fun elements of #GivingTuesday is the double-match challenge. Don’t you LOVE the idea that a donor’s contribution will go twice as far?! Depending on funds, we run two or three, 30-minute challenges throughout the day, and we anticipate that those periods will bring in the bulk of our Giving Tuesday donations. Would you consider giving to our donation match challenge? (Your donation would go twice as far, too—as Giving Tuesday donors step up to meet the challenge.) Click here to make a match! 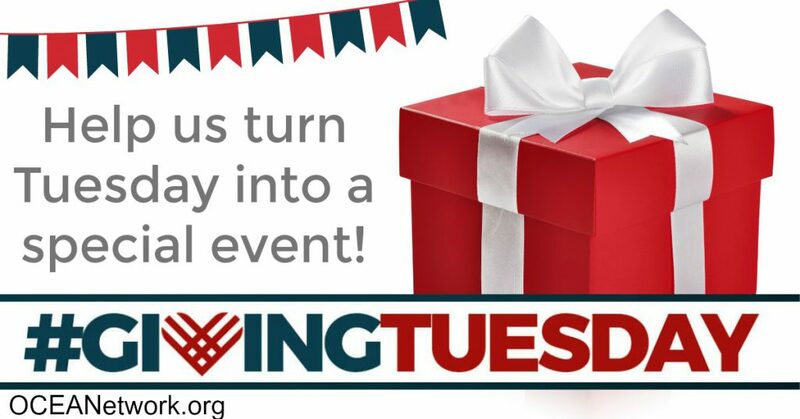 Will you be a part of #GivingTuesday? We can’t wait to share more testimonies like these all day long on November 27! Email us and tell us about your experience with OCEANetwork and how our work has blessed you. We’d love to feature it during the day on Giving Tuesday!